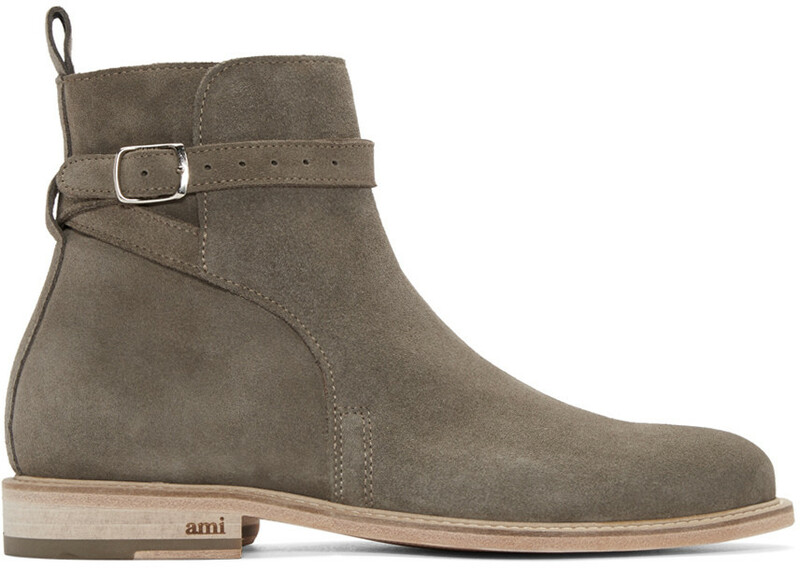 AMI is a great newcomer of well-cut, great proportion and good price point menswear that just looks and feels right. 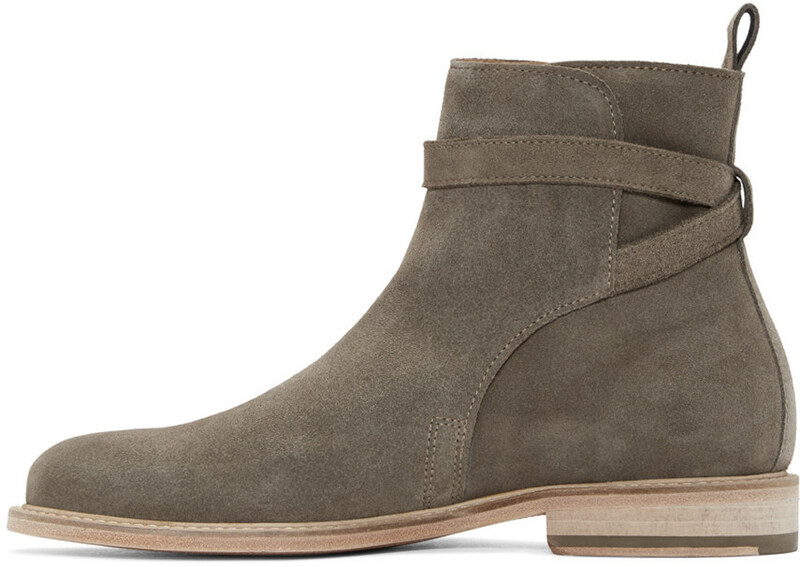 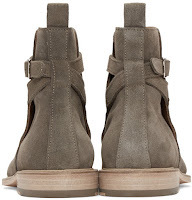 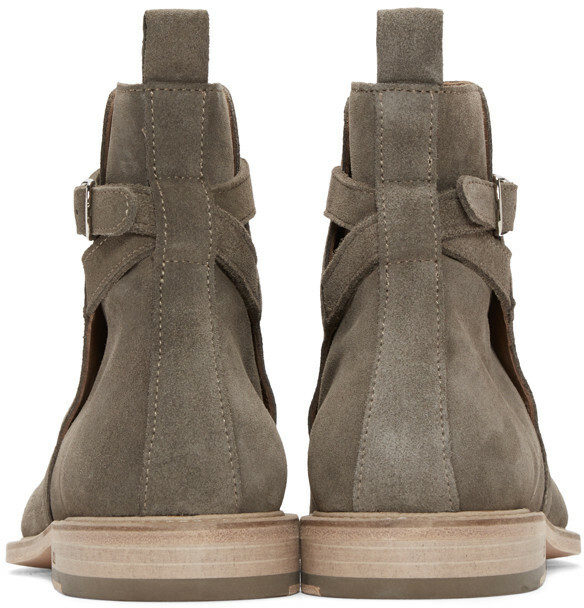 These Taupe Suede Buckle Boots are testament to the goodness of the brand. 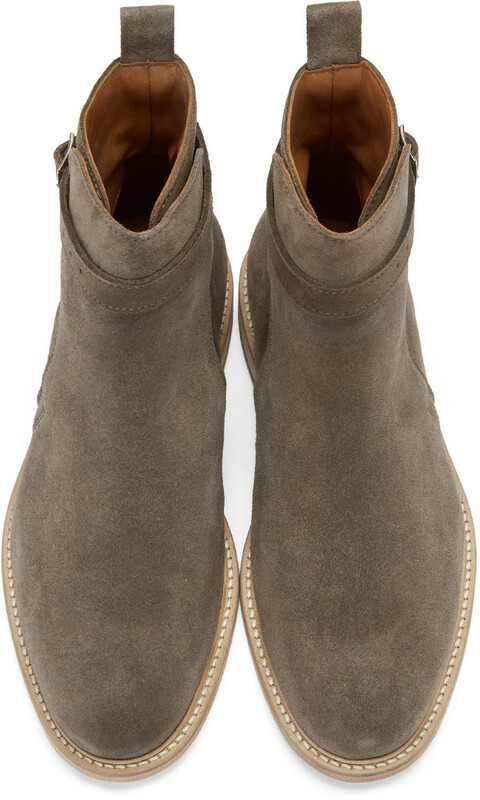 The toe shape is pretty great as is the clean shaping of the boot while the crisp suede upper and the perfect warm grey neutral make this a great option for denims and suiting. 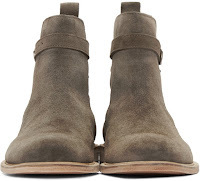 The stacked midsole with the minimal branding are just little touches that solidify this as a great shoe for the season and beyond. 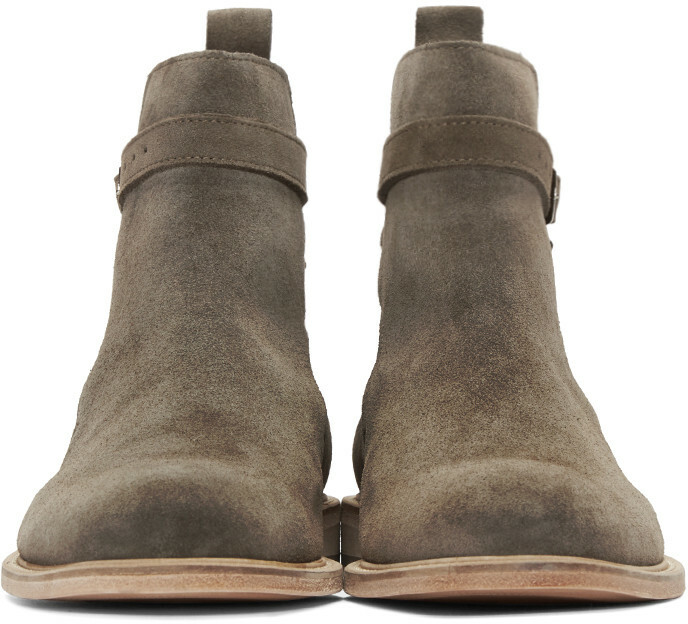 The boot is now available exclusively at Ssense.com.